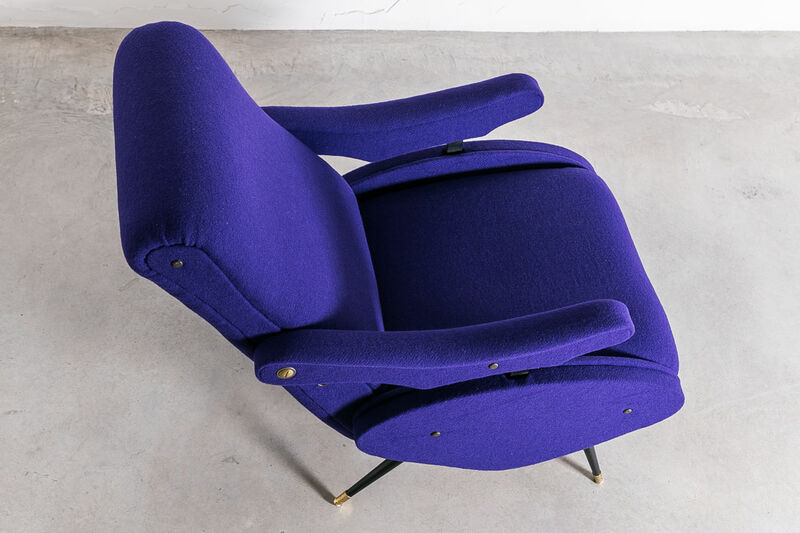 Italian Vintage recliner in the style of Zanuso. 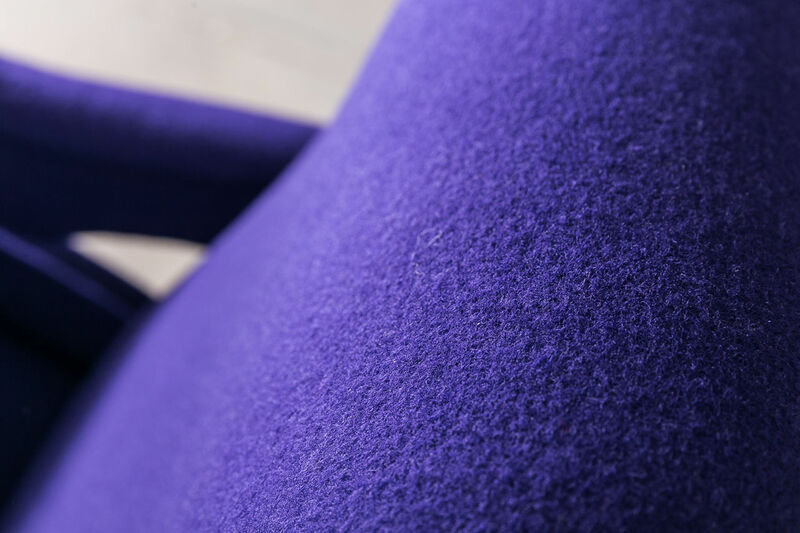 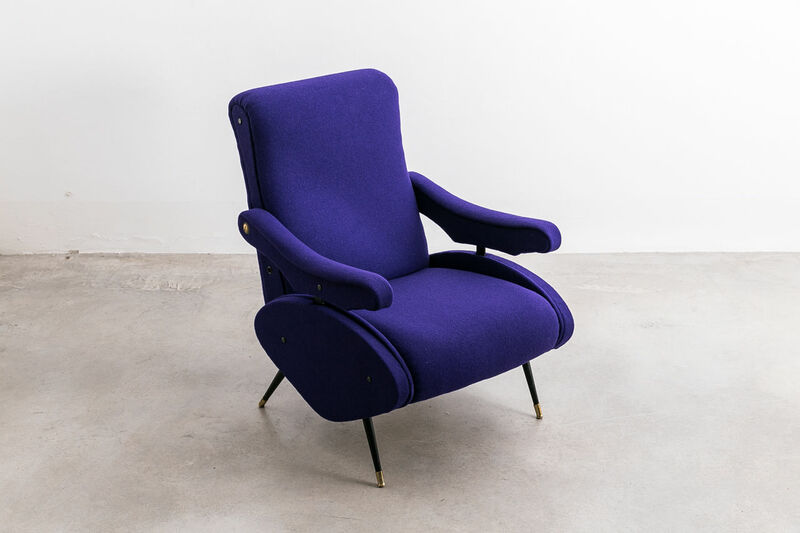 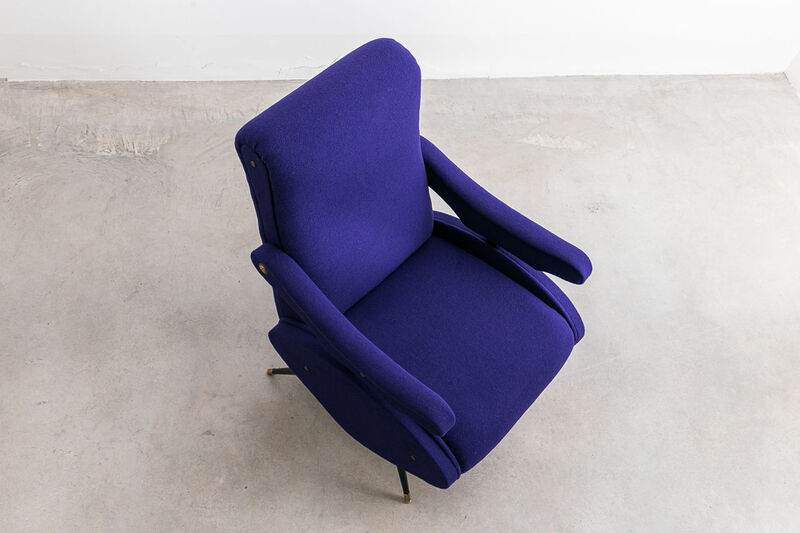 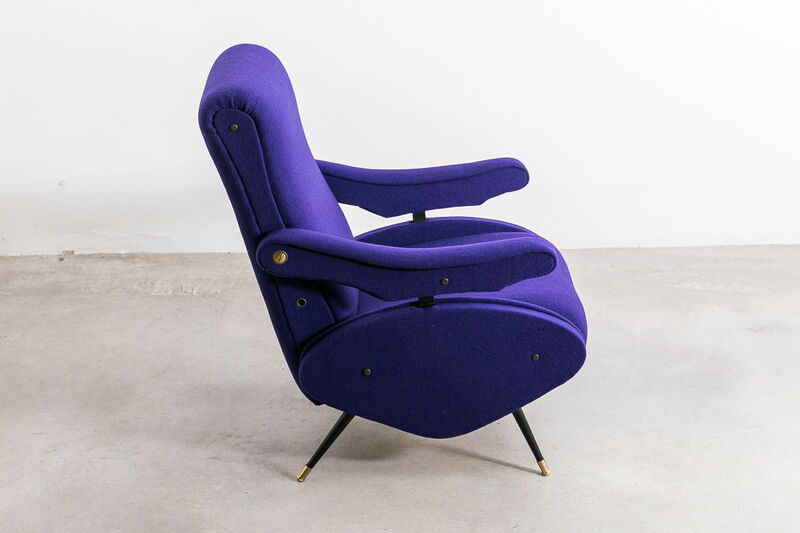 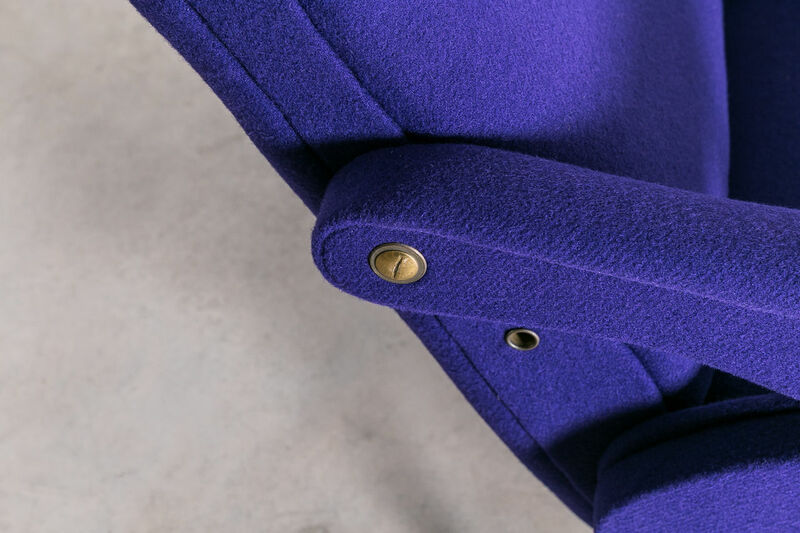 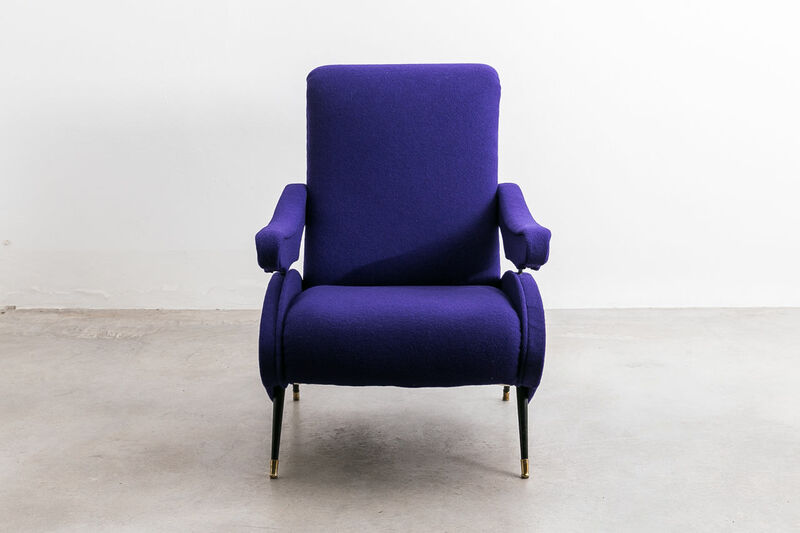 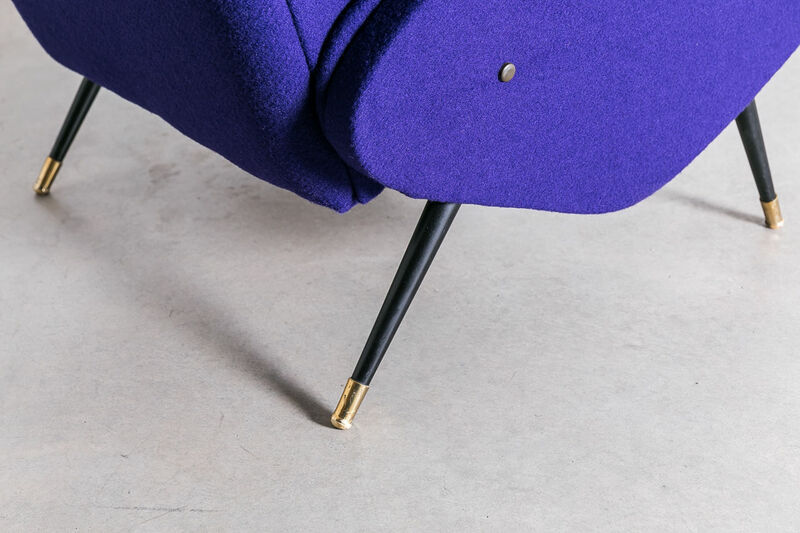 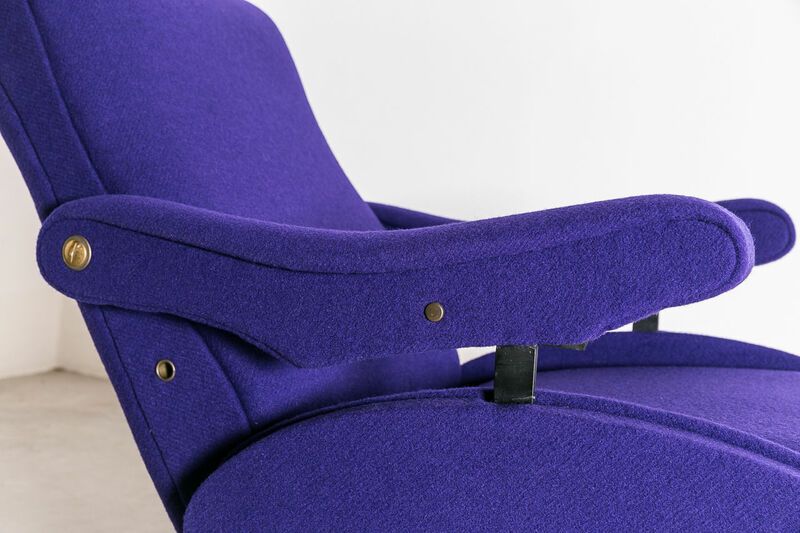 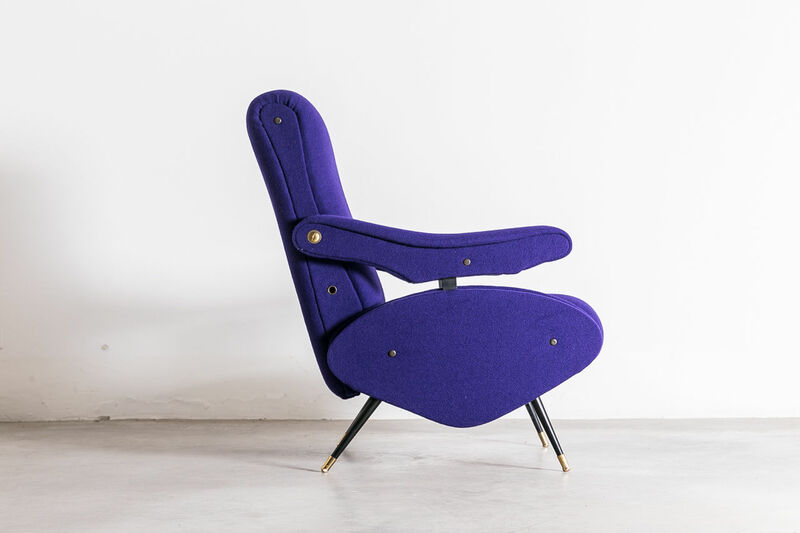 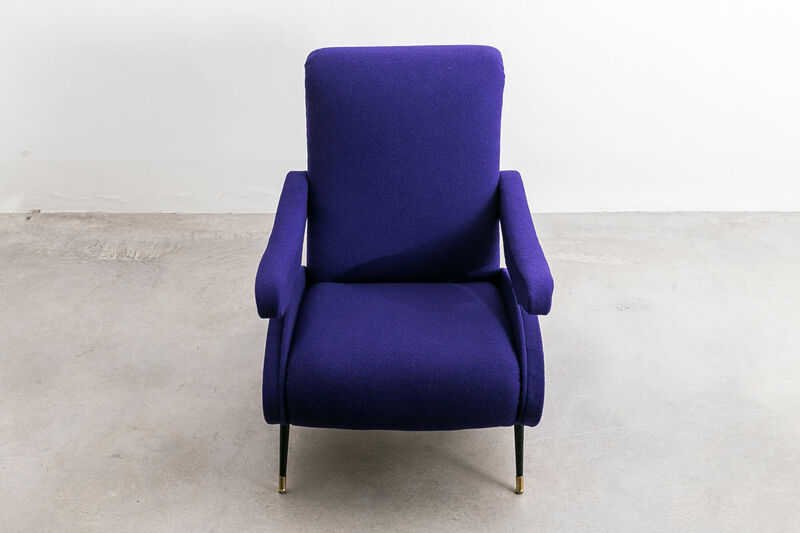 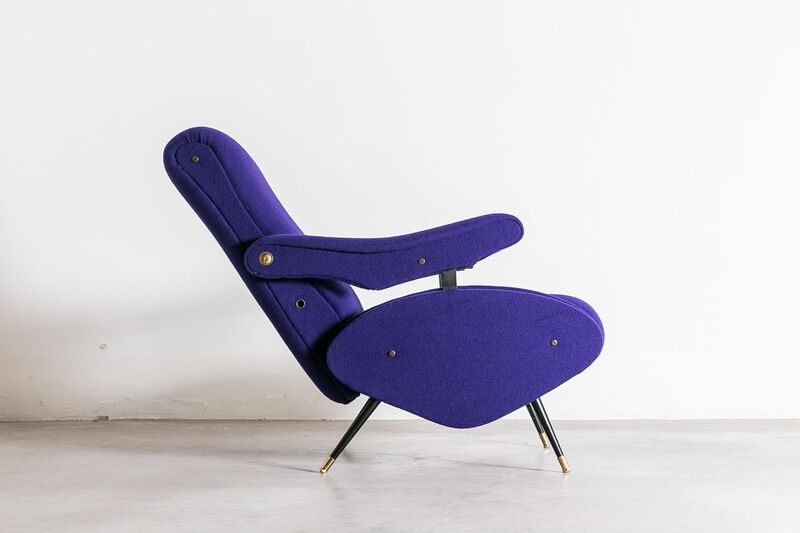 The chair has been newly restored & upholstered in Italianpurple wool. 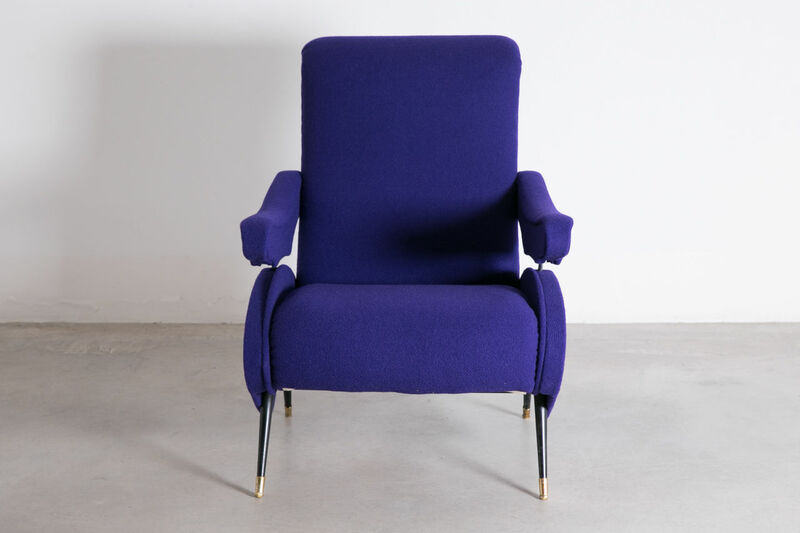 It has black steel legs and brass tip feet with Circa 1950, Italy | Castorina & Co.